It’s so easy to bring the nostalgic style of Coca-Cola right into your home, office, or restaurant! 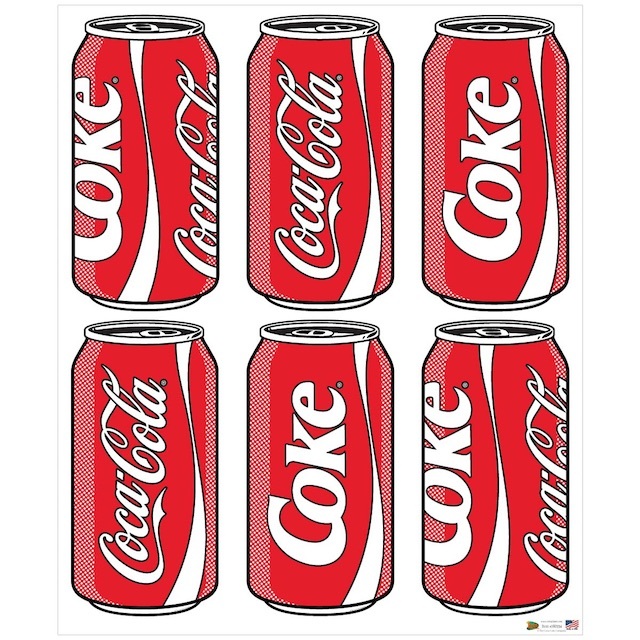 Our decal set includes individually cut decals that are perfect for decorating a retro kitchen, company lunch room, diner, or restaurant with classic Coke cans. This set is available in two materials—matte polyester (for any flat surface) or matte vinyl (for nonporous surfaces). All six cans are included in this decal set enabling you to make a big, bold statement with these fun decals. They’re made in the USA with eco-friendly materials, are easy to apply and leave no sticky residue behind when removed. They’re officially licensed by the Coca-Cola Company and available exclusively from RetroPlanet.